Social Media Marketing Blog by Jyoti: Mango from Microsoft, Ice Cream from Google ? 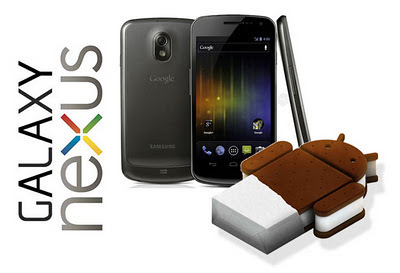 Smartphone operating systems news: Google unveiled features of Android 4.0, also known as "Ice Cream Sandwich", in a joint demo with Samsung. Microsoft has been gradually rolling out the "Mango" update to Windows Phone 7 users. Both are competing with the leader Apple made iOS 5. What is new in the Android 4.0 ICS ? Pinch to zoom works with calendar events, which should adjust the number of lines you see on the Calendar screen. Google debuted Android 4.0 this week in Hong Kong, along with the new Samsung Galaxy Nexus smartphone, which will be the first gadget to run it. It has a Face Unlock, which is designed to recognize the user's face instead of a password. Nokia news: Microsoft's Mango Windows Phone 7 is released. What is new in Mango for developers? - Access to calendar and contacts for apps. And the winner is Apple ..
With iOS 5, Apple added over 200 new features, taking a mobile operating system that was already years ahead of anything else and moving it even further ahead. Twitter integrated right into iOS 5. The iOS 5 makes it even easier to tweet from your iPhone, iPad, or iPod touch. Sign in once in Settings, and suddenly you can tweet directly from Safari, Photos, Camera, YouTube, or Maps.